Add 4 cups of thin poha and dry roast on low flame. 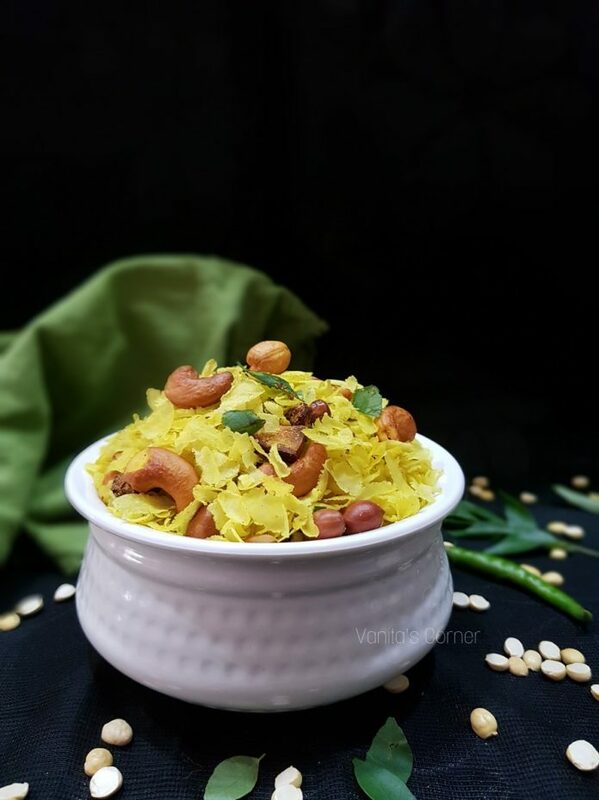 Saute the poha gently to avoid the poha from breaking. Remove the roasted poha from the pan and keep it aside. 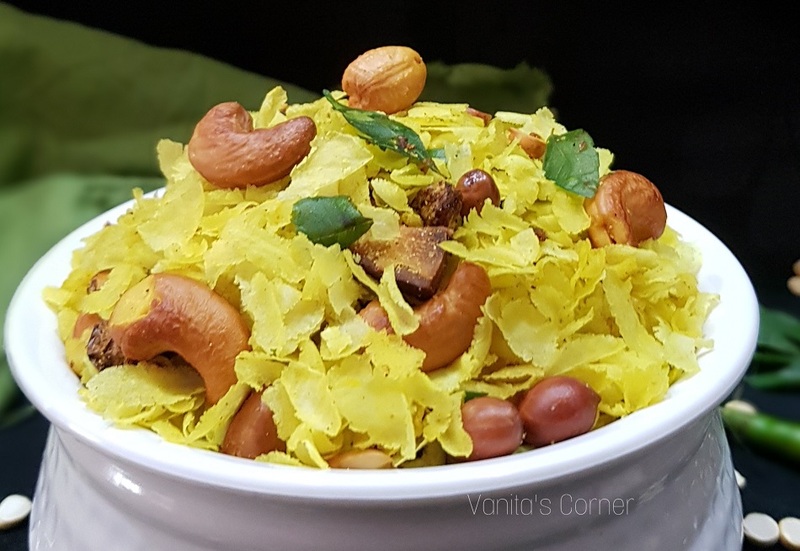 Deep fry the peanuts, roasted chana dal, cashews, raisins, dry coconut slices one by one and keep it aside. Heat 2 tbsp oil in a wide pan . Add mustard seeds, green chillies, curry leaves, asafoetida and saute. Add turmeric powder, salt, amchoor and powdered sugar. Mix well. Now, add all the fried ingredients and mix well. Then, add the roasted poha and give a gentle mix.